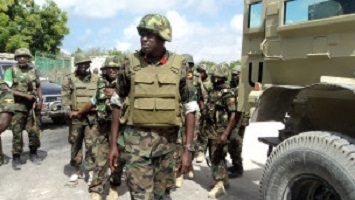 The African Union ambassador to Somalia, Francisco Madeira says soldiers 1,000 will be drawn down by this month in Somalia. The announcement was made after Francisco Madeira held talks with the President of HirShabelle State, Mohamed Abdi Ware. Madeira said he and Ware had discussed on on the planned cutback in troops from Burundi. Burundian contingent operating under AMISOM has military base in Jowhar town, some 90km north of Somali capital Mogadishu.